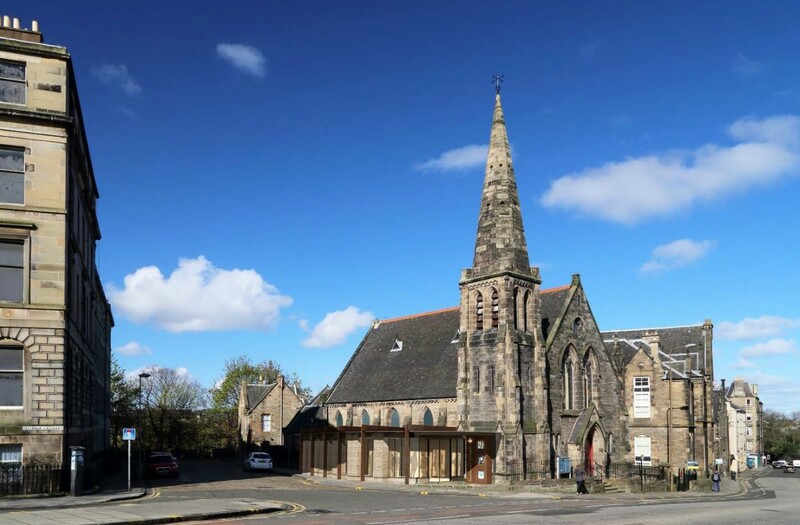 Simpson & Brown Architects have filed plans to augment an existing chapel on Edinburgh’s Rodney Street with new extensions on behalf of Bellevue Chapel Evangelical Church. 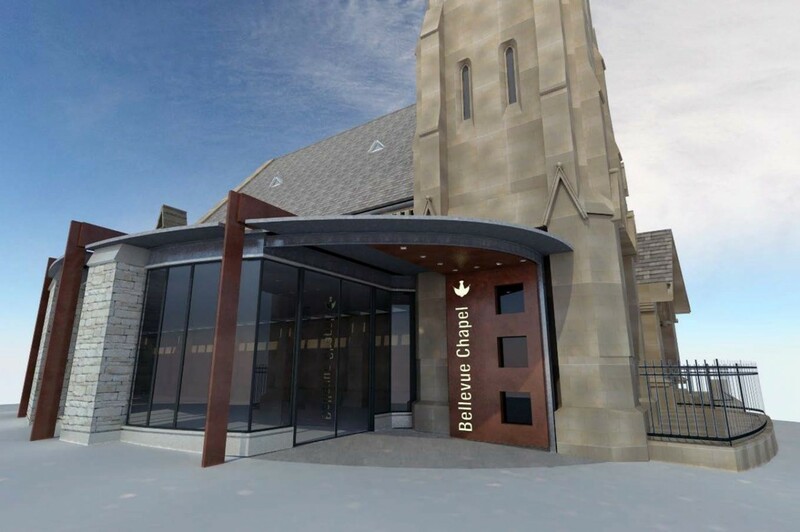 The gothic church sits within the New Town conservation area, necessitating a low impact approach for the new build elements to protect existing views. Working with an architectural language of stone buttresses the extension will feature areas of narrow glazing around a relocated entrance on a vacant plot to the side of the chapel. In their design statement the architects observed: “To create interest and some visual links, glazing has been set into the wall at the column locations which are expressed externally after the manner of the roof beams, almost as a negative of the existing buttresses. The glazing extent increases in each successive bay; the rhythm created emphasising the progression towards the main entrance. An additional roof pitch will also be inserted between two existing roofs to the west to carve out more first floor space. 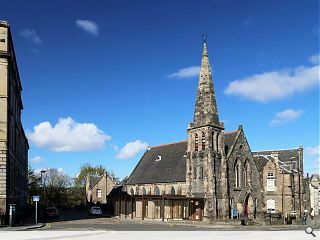 "The new extension takes its cue from buttresses present in the current gothic chapel"
Clearly the lefty architects nooadays dinnae actually represent or respect the traditions ae Christianity and its architeshure. I wish these buildings wur acshully being developed wae care an consideration and no by somewan fae Motherwell Polytechnics concrete modernist class ae '76 who couldnae care less. Wow! 13 Points in such a short rambling post by Big Chantelle. Impressive. I think we need more points for references to Christianity. Until the next post. Taking away considerations of economics, timescale/deadlines, materials, responsibility, design brief etc. This feels a bit clunky/ awkward in it's context - i'm not convinced referencing the buttresses has been pulled off elegantly enough. The entrance itself seems to work. wow, BC doesn't even like the work of one of the foremost conservation architecture practices in Scotland - is no one safe from the lefty, concrete modernist tag? Mies' Crown Hall Chicago is one thing, whereas this external structural expression (real or pseudo?) is more akin to a portacabin at this scale. 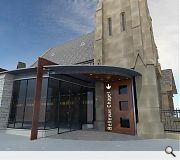 Why not a simply elegant understated complementary design to that of the context of the church? Why this way over-articulated design? Why? - because they're architects - that's why. Yer post illustrates ma point perfectly. Ye make nae mention ae the intrinsic merits ae thu architeshure: instead ye reduce the success ae whit's being proposed doon tae the supposed reputashun ae the firm producin it. Unliker yersel, a actually LOOK ut the architeshure. A study it. Whit is being prosed here is a dumbed doon mess and as wan poster above correctlay noted, just look it thu difference in quality between thu chapel an the extenshun. Why should the latter be poorer? Why? Ur ppl today no deserving ae gid architeshure? I couldnae gee a flying you know whit if these peepz are wan ae Scotland's foremost this or that. It means nuthin tae me. I call a spade a spade. I dinnae worship ut the altur ae reputashun. Funnily ebuff tho, if this wiz a mosque being extended I bet the architects widnae be so above takin' a traditonalist approach tae respect the existing architecshure. Just some food (halal uv corse) food fur thot. Damn. No points in this second round. Urban Realm, do you now feel a bit embarrassed at publishing the views expressed by Big Chantelle in your national publication? Especially as recently they have been tinged in bigoted remarks with regards to religion? Edit: "I dinnae worship ut the altur ae reputashun." Hahahaha. I wonder if the irony is blindsided by your bigoted views? It does, unfortunately, look like they've forgotten to remove the temporary needling. I assume there has been more than one Chantelle over the years. Wasn't he / she not writing in proper sentences about a year ago? Made a bit of sense too then; instead of this confused 2D character that breenges around the comments nowadays using pidgin English. Read some Jeff Torrington for vernacular that is at least understandable please. I don't like the direction this cartoon is being taken. I agree with BC here. This is a jarring addition to a beautiful, historic building. That's not to say contemporary additions to old buildings can't work because they can but this is not a good example. It's lazy at best, disrespectful at worst. This is Edinburgh, for goodness sake, surely we have local legislation making sure any projects like this are done right. Help ma boab.